Greetings to those of you visiting my blog for the first time! I was informed that I am a "Blog of Note" today and I thank you for coming to my blog and seeing what I have to say. I love everything related to choral music because there is a genesis of intense musical energy when a group of singers are all focused on the same goal. It is truly amazing when you are able to feel the physical energy of the singer next to you, as you feel the silent expansion of their lungs, and the blending of multiple voices to form a unified acoustic waveform radiating towards the audience. I try to blog about choir related topics ranging from choir uniforms to unique touring experiences; however, I love all things related to music, whether it is discovering new artists or composing my own pieces, all these areas inspire my posts as well. Thank you again for visiting and happy reading! I hope to hear your thoughts in the comment sections! the tree is also enjoying choral music with you. Ah, just stumbled upon here, and I have to say, I really appreciate a good choir. There truly is nothing like it. That is amazing Sable!! How exciting! So what do you do when you're in church and the person behind you is....how do I say...not great???? how to become blog of notes? nice to "meet" you and congrats! Wow. I like how you found something you love and decided to tell the world about it! I hope I can be as good as you someday. Choir is a really good hobby to have and I can understand it a little bit since I play some instruments and take voice lessons. Such a nice photo ... believe me I am impressed to see this photo. I worked at Westminster Choir College for a while, and I agree that choral music is wonderful. hi I visit your blog ur blog is very nice i follow your blog please visit my following blogs and follow my blogs too. In my church we have a really nice choir too. I like listening to them sing. My brother is in it. I couldn't sing to save my life. Your blog is really cute! I'm in choir too! Congratulations on Blogger of Note. I love music. Music sang by a church choir, oldies blaring from my radio or the sweet sound of soft jazz all feed the soul. I loved the tree pic. Have a wonderfully blessed day!!! So nice to come across your blog, and that it is an Edmonton-based blog! 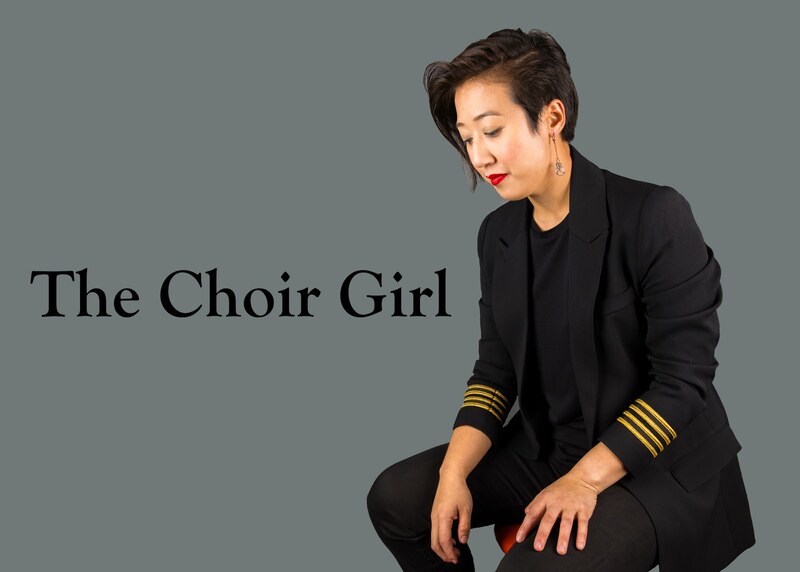 As a choirgirl myself for 30 years, I'm glad to see that choirs are still attracting people, and appreciating all the amazing experiences choirs bring to ones life. I love the look of your blog! Keep up the great work. Congrats! I used to be in the school chorus way back in elementary and jr high school. I miss those days. Hey, congratulations! Its so good to hear that there are other music lovers in blogspot. My blog is also about music. If you could follow my blog, and i followed yours, it would be great. The blogs complement each other well, and it would benefit both of our sites. Congrats on being the blog of note! I was in choir for 9 years, and you're right. There's nothing like the way the harmonies sound when everyone gets it just right, the nervous energy the choir as a whole has before going up on stage...I love music, and I love singing! I'm glad to meet a fellow blogger who feels the same way about music. If you have time, please feel free to check out my blog, Butterflies and Hurricanes. Not fair! Can you tell people to go vote for my video? HAHAHAHAHA! Sibling rivalry = awesome! Congrats, man. Power to you! I noticed your site because I have a fairly recent love of choir music. A few years ago the choir director of 41 years retired from our church choir. I play piano and viola and have played in an orchestra for most of my life. I figured I had more experience than anyone else, so I volunteered to be her replacement. How could I know I'd fall in love with that sound. When the voices blend just right, swell, diminish, etc. So beautiful. And as a director, I learned the magic all directors must feel of "holding" all that music in my arms. I am eternally grateful for that experience. Hope you continue enjoying your choir experience as well. Congrats on being the Blog of Note today. I haven't sung in a regular choir in 30 years. 8 years ago I got to be the soloist for "Comfort Ye" in a Handel's Messiah community choir performance. What a privilege. I love to listen to choirs, but has anyone figured out a way to record a large choir such that one can hear all the parts? It seems the tenors usually get covered by the altos and basses in the recordings I have heard. Well, great blog. Music is medicine. It cures a multitude of human malades. its nice to fine u, a talented music fan. by the way, i m also a blogger, i write from Afghanistan. i write in Dari (persian) langauge. however, would be nice to read ur comments in english. i plan to make an english blog as well. Just happened to stumble upon your "blog of note." It is quite lovely, and I'm glad to see you have the same passion for choir as I do! You hit the nail on the head describing the experience! I'm excited for my choir to start up in a little over a week! I am just itching to get back into it! I will be following you! Congratulations on making blog of note! You write beautifully. Hey there! I really like your blog! I used to do some choral performances as well. I was fortunate enough to make it into the Texas All-State Men's Choir. But nowadays I simply post videos of me performing certain pieces on YouTube. If you have time, and don't mind helping out an unknown Vocalist/Composer, I'd greatly appreciate it if you took the time to watch some of my videos. :) Thanks, and have a great day! YAY! another choir lover! i almost diead last year not being in a choir... but i have joined one now. Blog of note! Woot~! Congratzos~! What a cool blog! I've always loved hearing choirs sing, too - very magical experience. I too am a choir/music lover. I am a soloist mostly, but also find the experience of coming together to sing as one absolutely breath-taking. You've gotten me at Choir Girl, and what you write looks great. Look forward to reading more. It is a sweet pun that I would look under blogs of note and click on this one. Check out the site at Selwyn College where they have just uploaded some clips. The director of music has a very fine choir there. I don't know if her 2008 CD of the Ely Girls choir is available to you - but it is also among her best work. Found this via the Blog of Note. I agree with what you said about choirs, I think that's why I get goosebumps whenever I hear them! Have you ever heard Eric Whitacre's compositions? He's amazing, I think you'd like them! i agree with the post...music is the bounty for few human...and you are one of them...you can write better in music....pull the music up..
you have indeed plucked few strings of my heart!! I love choral music, too. My husband things I'm weird, because when given a choice, I almost always will listen to that. I used to sing in my city's philharmonic, but a growing family forced me to dtop it for a little while. I miss it terribly, and can't wait to go back when the kids are a bit older! I'm trying to become a professional musician, and my blog is basically about my journey to that goal. I quite like your blog...I might follow it. I can't wait to read more of it. I have to try to add more of the thoughtful element to my blog but you seem to have done it really well. If you could take a look at mine: www.artsy-moi.blogger.com? What a beautiful way of describing the rush of being a part of a choir!!! I can truly relate to everything you say. The absolute magic of being a part of something beautiful, of losing yourself in the countless voices and yet contributing all you have!!!! I recently had the privilege of auditioning and then being a part of a district choir, I had never had the experience of being surrounded with such melodious voices and it was pure magic!!!!! I shall most definitely follow what you have to say!!!! Thank you for sharing!!!! Justed wanted to comment what a beautiful picture. Love it! Are you still reading comments after 70 of them? Like most of the others, I found you through "Blogs of note." Ah, to be young again!--as I assume you and most of your commentators are. I'm 72 myself, and ironically I only started singing in choirs about 5 years ago (when my voice had started failing), after spending 45 years as a church organist, which makes me particularly interested in your comments about singing in church choirs. I'll keep following your blog. I don't speak english very well [well, WE don't speak english very well, because mr. spoqui is a team] but I [we] understand the things that you wrote here. We sing in a choir too, and to me the feelings are the same of yours. If you want, visit our blog, I know you wouldn't understand anything, cause we wrote in spanish or portuguese! See you.